In the three years since their last studio album "Brush With The Moon" (review) was released, Quill have been on quite a journey. Whether it be their renowned concerts in and around their Midlands roots, their debut at Fairport Convention's Cropredy festival and their two EP's ("Ghosts Of Christmas" and "Cropredy") as well as the odd change in personnel, Quill have continued to build a portfolio adding folk and Americana traits to their established repertoire. Cue their new EP "Grey Goose Call", recorded live in downtown Kidderminster and produced by drummer Andy Edwards with four songs co-written by Bev Bevan, (his first since ELO Part II's "Moment Of Truth" in 1994), Tony Kelsey and Joy Strachan-Brain and the other - "Little Affection" - a full team effort. Yet despite the recent departures and arrivals, this quintet (including one a bonus track) of new songs remains quintessentially Quill but with an atmospheric, moody feel sure to widen their appeal across the shires. Opener "Grey Goose Call", "Elephant In The Room" and "Pretty Ribbons" have been in their live set for a while and translate excellently into the studio. The attraction of this record is that we get to hear the sultry "Skin On Skin" and "Little Affection" too, offering a tantalizing glimpse as to what their forthcoming new album holds and a revealing a new dimension to Joy's vocal talents. 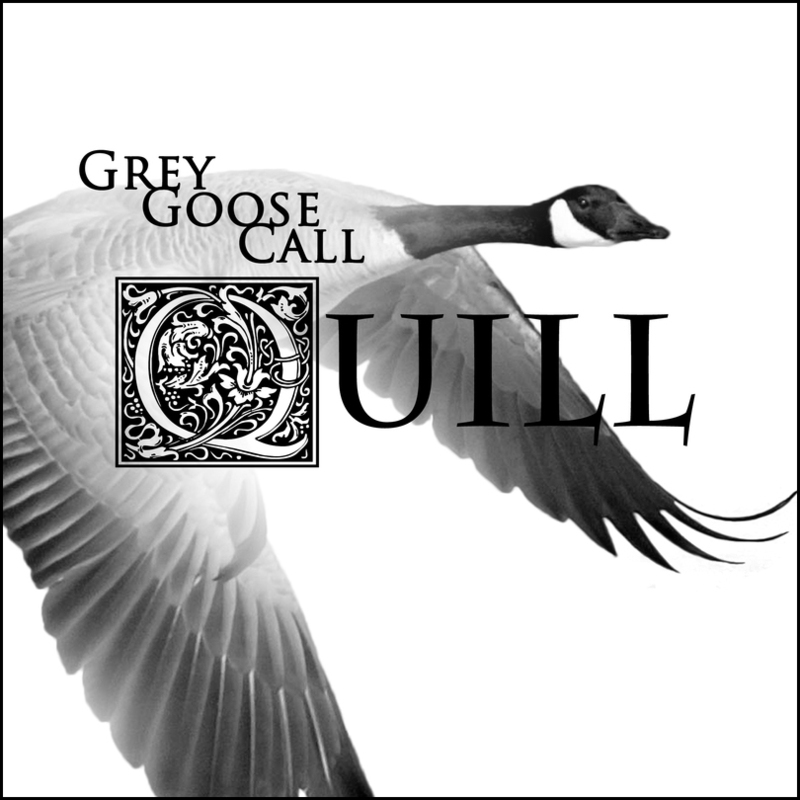 elobeatlesforever (elobf) recommends "Grey Goose Call" by Quill to those enlightened folks who enjoy the music of ELO, Jeff Lynne, Roy Wood, The Move, The Idle Race, 'Brum Beat', The Beatles and related artistes.